1. 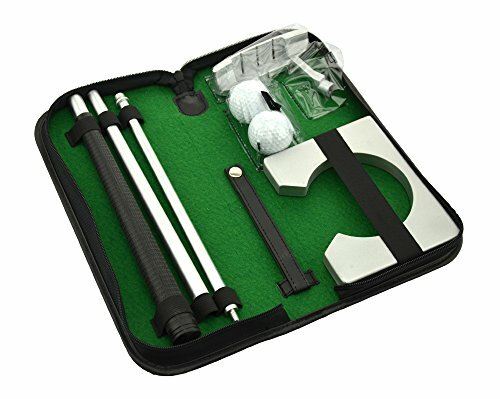 Create an instant indoors putting green, whether you are at a loose end on a business trip or killing time at home. Portable case to help you easily store and transport this goft set. Greatly use in your office, house, business trip and so on.